" Jason De Paz is a true professional in the real-estate profession. As a first time seller in a difficult market I was given sound council and treated with respect. From listing to closing I always felt well represented. I would definitely use Jason De Paz as my real-estate professional in the future! " " Tyler was very attentive to my property needs. He only showed me the properties I was interested in seeing, never tried to push a property, and as he grew accustomed to my likes/dislikes, was able to filter out undesirable properties. Once I had settled on a property, he was very proficient and expedient in dealing with the other party regarding price, fixes, and paperwork. He was very responsive to phone calls and emails, and I was never left wondering, "what is going on". I highly recommend Tyler Sather for all your buying/selling needs. " " I recently sold my family home in SW Portland and bought a new one in Lake Oswego where my kids go to school. When I started looking in LO, I was doubtful that I would be able to find a home in my price range that was not a dump. Tyler Sather went above and beyond when it came to listing my old house, getting it ready to sell, working with the buyers and everything else. My house sold quickly and we got a full price offer! I called him in the evening, morning, weekends and he always got back to me right away and I felt like my needs were his top priority. Then, when it was time to buy in Lake Oswego, which was very important to me to be where my kids were already going to school, Tyler helped me find and purchase the perfect home without any hiccups. Both transactions went really well because Tyler is passionate about his clients' needs and wishes. I would recommend him to all of my friends and family and will definately use him again in the future. Tyler is a genuine person who honestly cares about the needs of his clients. That was something that was very important to me so I am very thankful. I am enjoying my new home with my family and am forever grateful for him making this experience a good one! " " Jason was 100% on top of everything and always on our side. Never once did it feel like it was just another sell for him. He was patient and understanding while we looked at (seriously) every house in Portland. On top of being very polite and professional, the experience was always fun and somehow we were laughing throughout most of our tours and exchanges. Emails and phone calls were always responded to within the same day. Time was always made to go see one house or ten. And when it got time to negotiate he was all business. I would (and have already) recommended Jason DePaz to several friends and if/when we buy the next, we will be working with Jason. " " Tyler was very responsive and led me through the sale process in a professional and most friendly manner. He always had a schedule and it was followed to the letter. There were literally no major problems along the way and I would highly recommend Tyler Sather and his firm. " - Stuart E Trenholme, M.D.
" I would very much recommend Jason DePaz. He was very responsive to my needs, since I was in the midst of settling my sister's estate and time was of the essence and he was very understanding of that fact, helpful in all instances, quick to respond to my questions. All-in-all, I would consider Jason for any future sales I would make, and would recommend him to any of my friends or associates. I would also use him to help me in securing a future purchase, should the need arise. Listed and SOLD 9685 SE Wessex Way, Happy Valley, OR 97086 "
" Jason DePaz is a Real Estate Professional with integrity and the kind of guy that will stick with it until it is done. Keeps in touch during the process and is readily available when I need help. Definitely knows the areas surrounding Portland so he can match your needs with your desires. " " Josh Burgess is the hardest working realtor you will find. He is accessible 24/7 and always willing to go the extra mile. In addition to his customer orientation, he is a tenacious and dogged negotiator while still maintaining a healthy relationship with the other party. We found his local market acumen to be unrivaled and he is well connected. you will not regret this choice "
" I've bought and sold many properties in my life. Josh Burgess is the best Real Estate Agent that I have met. Josh had just helped me to find a house for me in Lake Oswego. An individual, who is hard working, personable, dedicated to his job,looking after for you best interests. He dedicate his attention to the customers needs are. Working to find the best deals and results for the customers. Josh had made me feel like he works for me exclusively,looking after me and take care of whatever my needs are, from the begining all the way to the end! Congradulation Josh, you did it again! Harry Liu "
" My wife and I just got the keys to our first house last Tuesday and we were lucky enough to have Josh helping us. We met Josh when looking at a house he was listing and then adopted him as our own real estate agent. Because it was our first house, we knew nothing and Josh made sure that he kept us up-to-date through every step and walked us through the process. He was very professional and easy-going which made the process much easier. Due to the market, there was a high demand for houses which meant that we had to act fast in order to get something we liked, so Josh made several trips out just to show us 1 house. The appliances that came with the house are having a little trouble, and, even though we are in the house and settled, Josh is still helping us find out information from the previous owners. I highly recommend working with Josh and definitely plan on using him when my wife and I make our next move. " " I hired Josh Burgess to sell our house for us last spring and I would highly recommend having him handle your real estate transaction whether you’re a buyer or a seller. Josh is both personable and professional and has a firm understanding of the ever evolving residential market. His marketing plan was well thought out and executed. Josh did an excellent job negotiating the escrow and went above and beyond when we had to hire an outside contractor to resolve a potential issue. " 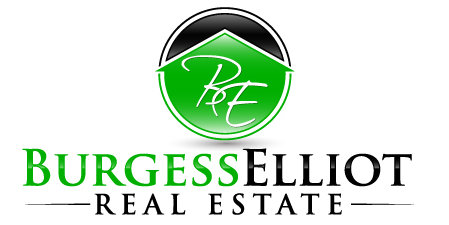 Burgess Elliot Real Estate is your one stop real estate company. We have the latest technology to help you with your search or to help you sell your home quickly. We strive to provide the best communication, professionalism and have your interest put first. Working with us will be the first good decision you make when setting out your real estate goals. We are a fully licensed real estate brokerage in the State of Oregon. WE ARE: Professional, Responsive and with Integrity.